Don't let the word "barn" fool you! Over the past ten years, the 1915 Barn has been thoughtfully transformed from a traditional, working dairy barn into a unique and beautiful lodging space that is alive with history, nostalgia & hospitality. 5 Bedrooms, 5.5 Baths, Indoor Basketball, 20 Acres With A Creek (Sleeps 10). When renovating the barn we incorporated many amenities that we found useful during our personal travels. The use of technology (WiFi, satellite TV, intercom system, sound system), building design (rooms are spacious and well lite, symmetry is used to aid in ease of movement), quality of construction (fine materials accented by quality workmanship) and antique decor (fine antique furniture and period accents that reflect the past) are just a few of the ways we tried to create a homelike environment in this historic building. From the antique decor to the handmade wood beds and the complete kitchen to the WiFi system, the barn is a pleasant combination of old and new. Throughout the barn you will notice the Hilton mattresses, pillows and sheets, the thick cotton towels, and a feeling of home. We have traveled a considerable amount in our lives. Now we want our guests to enjoy the little amenities that make a trip a pleasure and a place feel like home. The barn is surrounded by 20 acres of pasture and trees that outline Hyalite Creek. From various spots on the property, you can see the seven mountain ranges that define the Gallatin Valley. Around the barn you will find a quarter-mile path that can be used for hiking, jogging, cross-country skiing or star watching. Through the years we've had many craftsmen help us on this project. Almost to the last man they have said that there was something special about the barn and they enjoyed working on it. 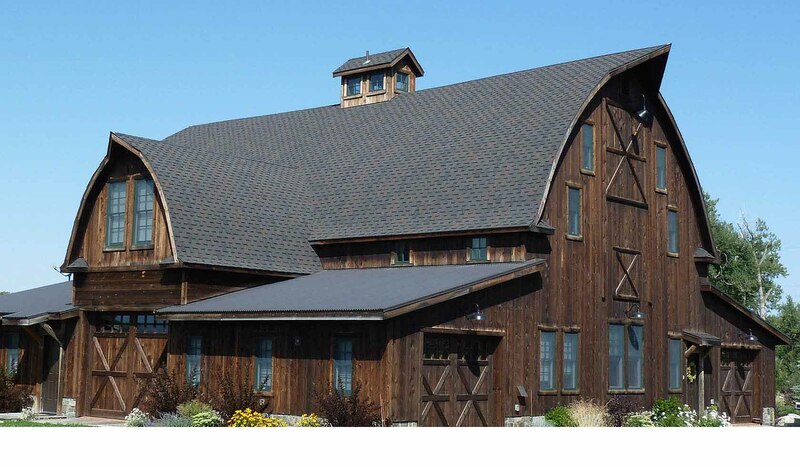 We believe that you too will feel the something special that this barn offers.